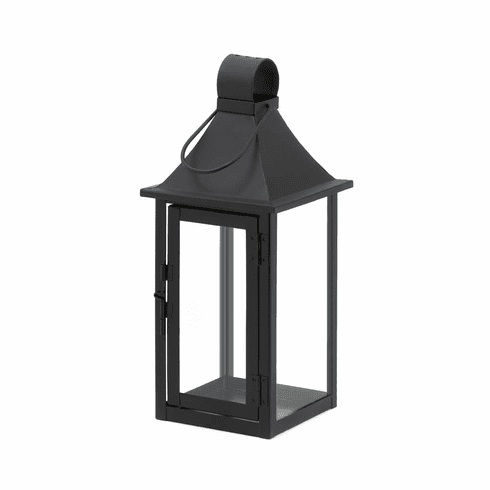 Black iron and clear glass make this classic carriage style lantern a home accent that you’ll love for years to come. Use it indoors or out, and place it on a tabletop or hang it from the top hanging loop. 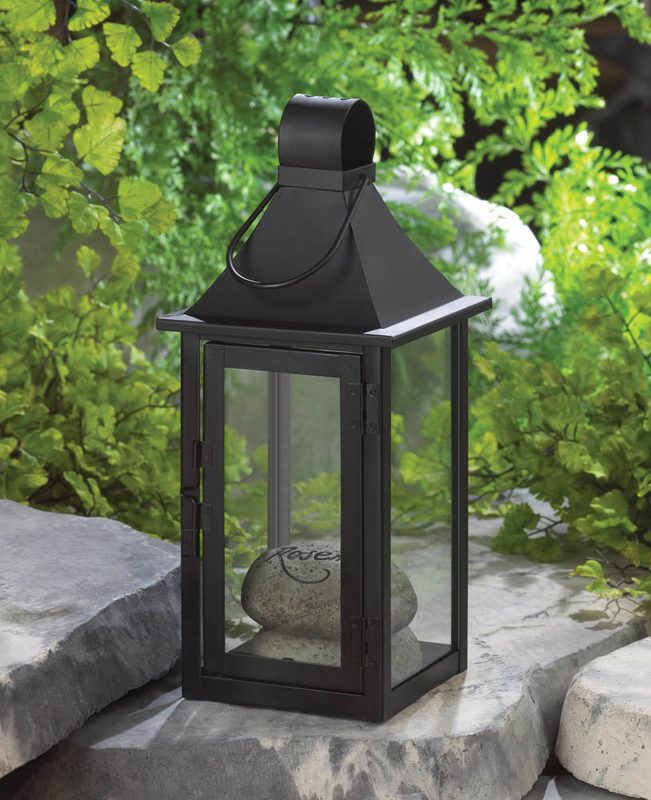 Features a hinged door for easy candle placement. Item weight: 1.6 lbs. 5 1/8" x 5 1/8" x 11 3/4" high; 13 1/2" high with handle. Iron and glass. Candle not included. 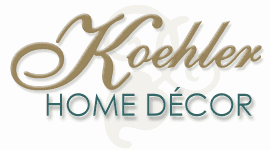 UPC: 849179016869.